Dr. Protano graduated with high honors and Phi Beta Kappa from Trinity College, CT. She then went on to receive her medical degree from Rutgers University-Robert Wood Johnson Medical School in 2009. 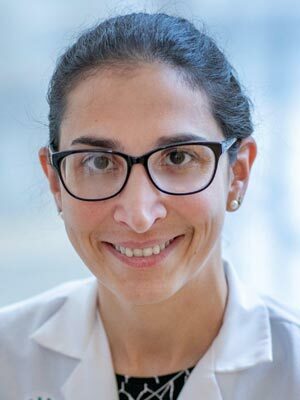 She completed her Internal Medicine residency and Gastroenterology fellowship at the Icahn School of Medicine at Mount Sinai. In her final year, she was named Chief Gastroenterology fellow and completed fellowship in June 2015. Dr. Protano has a wide range of interest in GI including inflammatory bowel disease, colon cancer screening and prevention, and women’s health. To schedule a procedure with Dr. Protano, please call (609) 818-1900.